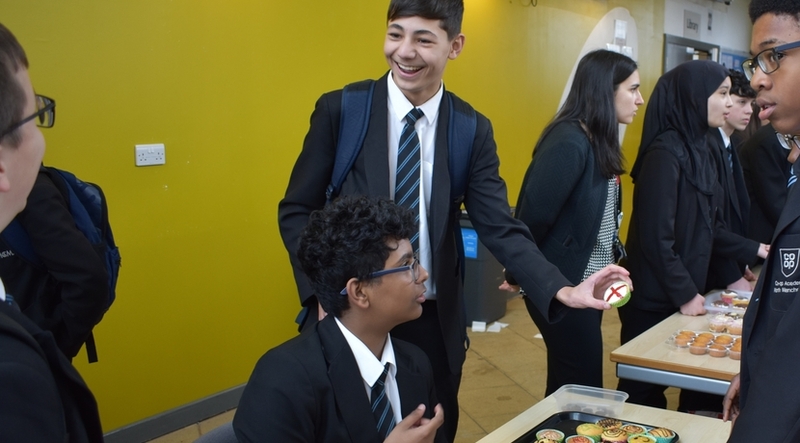 The whole of Year 9 spent two weeks raising as much money as they could for two charities that are very special to us in the Academy- The Scott Ward Memorial Fund and Save the Children. Scott Ward was a student at our school who suffered from a rare skin disorder Epidermolysis Bullosa (EB). Scott lost his fight against the illness in 2010 and his mum is determined to keep his legacy alive. With support of our community, this charity was formed to raise awareness of the illness and pay for holidays and days out for sufferers and their families. Save the Children is a charity that supports children globally in the toughest places. They do whatever they can to make sure children survive, are protected and given the chance to learn. 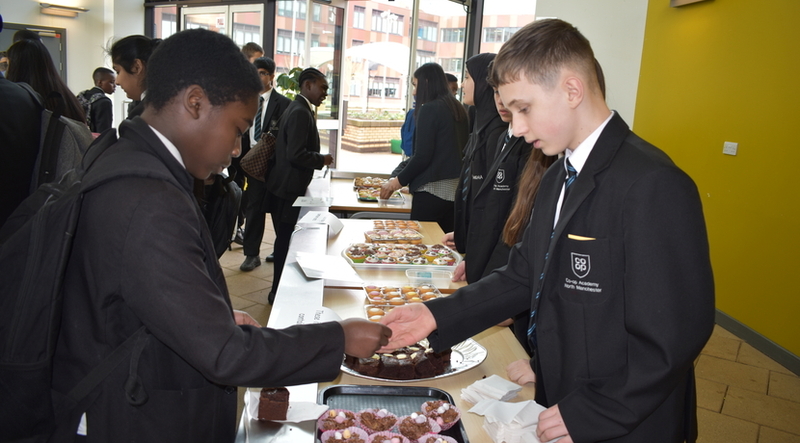 The inter-form bake sale ran every break for a full fortnight! 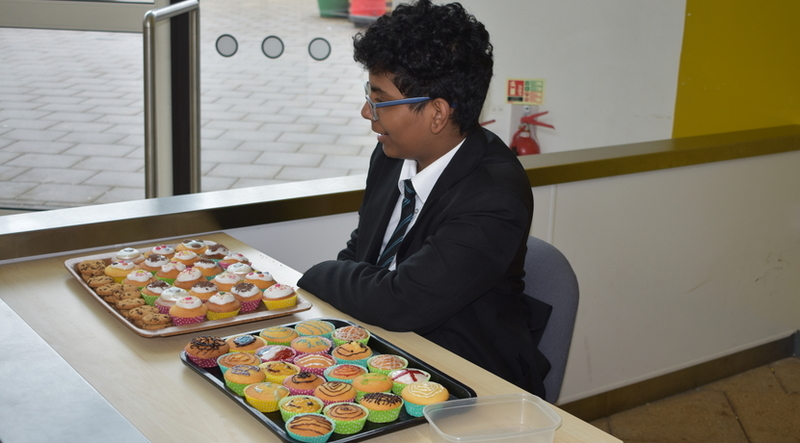 They had to compete to see which form could sell the most cakes, cookies and sweet treats as possible. 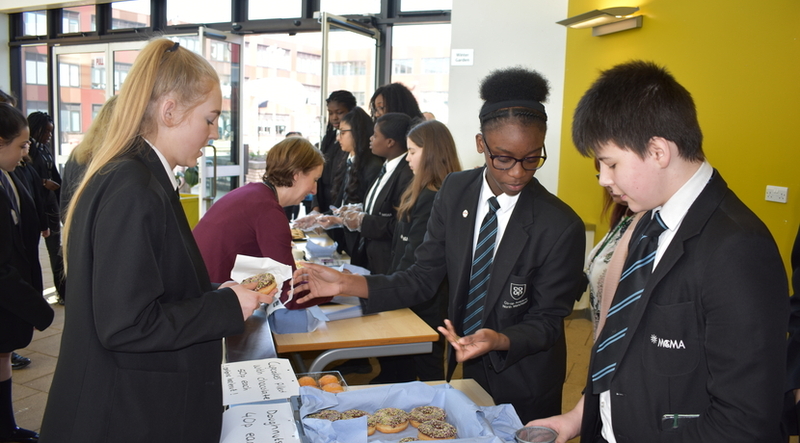 Many pupils and staff even brought in homemade cakes to contribute to the sales. We’re pleased to announce we raised a total of £381.88 from all 12 sales! A huge well done to Mrs Overare’s form 9/11 who raised an impressive total of £62.19 and won the competition. We’re very proud of Year 9 for their enthusiasm and hard work to help give back to important local causes.